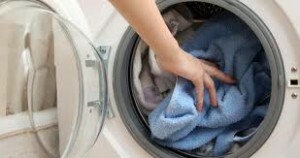 We repair washing machine issues for both home and commercial customers. We acknowledge the great significance of these appliances and try to help out clients in Port Coquitlam as soon as possible. Functional washers guarantee people’s good health and presentable appearance in terms of cleanliness. Who would like to visit a hotel or restaurant with stained tablecloths or sheets? There isn’t a single home or business in British Columbia that doesn’t appreciate the value of washers. For these reasons, we try to be as meticulous as we can when we provide washer service and try to satisfy our clientele by being fast in our response. Appliance Repair Port Coquitlam has trained specialists for all washer needs. Does your laundry machine give you trouble lately? Let our experts check it! We offer washing machine troubleshooting and try to find the damaged parts so that we can see if they can be fixed or must be replaced. 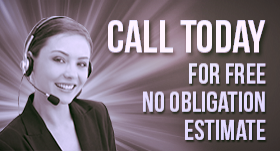 In either case, customers can be sure of our capabilities. We offer laundry machine repair for many years. The experience of our professionals is ensured but they also do their work thoroughly. Do you have a hard time latching the washer? Does the appliance make a strange noise? Is the washing machine not draining the clothes properly? We repair such issues as fast as we can and the results of our work are exceptional. Did you buy a new washing machine? Trust our team for washer installation. We are as accurate as when we service the appliance. Our expertise in all laundry machine types, models and brands enables us to do our job properly. Installing and keeping washers in excellent condition is our specialty and that’s why you should trust our companyWashing Machine Repair in Port Coquitlam. We fix the appliance in accordance to all regulations, are specialists in both commercial and home washers, and our washing machine repair service will help you enjoy the merits of your appliance every single day.